So much fun! 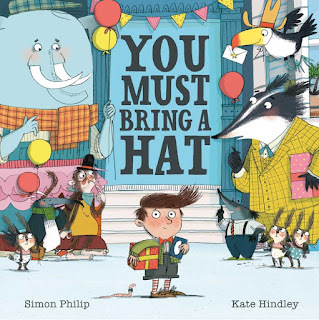 That’s how I would describe You Must Bring A Hat by author Simon Philip and illustrator Kate Hindley. 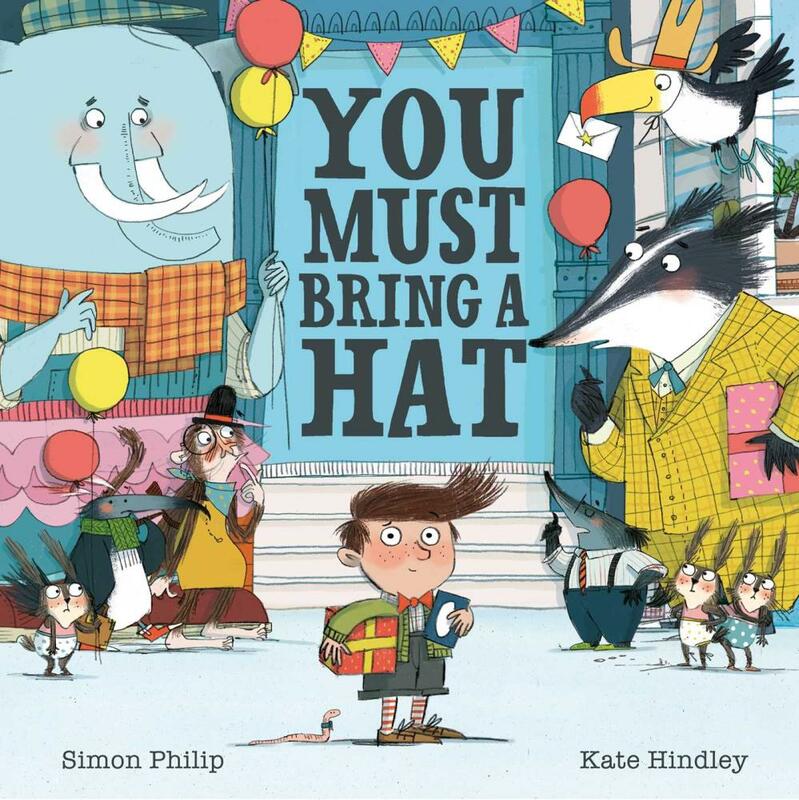 Cheeky, funny and entertaining, it's the kind of book kids will ask for again and again (and adults will be happy they do!). The story follows a little boy who gets invited to a party. The invitation says he must bring a hat, but when the boy can’t find his own hat, he brings a monkey wearing a hat. Unfortunately, there are special conditions for guests who bring monkeys wearing hats, and the boy must do all manner of things to get into the party. Written in the first person, Philip pulls the reader into the story and right into the little boy’s head, to great effect. Humour is part of every page, and a fantastic surprise twist at the end will have you laughing out loud. The illustrations are bright and magical. Vibrant colours extend to the corners of almost every page, and there are funny details to explore throughout the book. Education, morals and messages are important parts of children’s literature, but it’s also important for kids (and adults) to enjoy books that are just there to entertain. This is one of them, and it’s a book I know I will lunge for when it’s my turn to pick the story.